If your New Year’s Resolution was healthy eating, you are in luck! The first week of January is the best week to try out a meal/smoothie/etc. 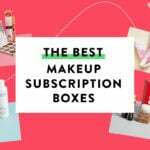 subscription – this is when they are offering their best deals! For a limited time, new subscribers get 25% off your first four Plated orders, no coupon required, just use this link! Up to $159 off total! Plated is a weekly meal kit delivery subscription that delivers you pre-portioned ingredients and recipes to help you make chef-designed recipes at home. They offer different weekly menus and randomly pick recipes for you based on preferences you submit when you sign up. They’re committed to using sustainably sourced seafood, seasonal produce, and meat that’s free from antibiotics and added hormones. Check out all of our Plated Reviews to learn more and see our finished meals! For a limited time, use this link to sign up for ButcherBox and get free Alaskan Sockeye Salmon with your first box! Freshly is having a Sale! FYI – Freshly now delivers to all states within the continental U.S! For a limited time, use this link or coupon code LAUNCH15 to save $60 off your first four weeks of meals from Freshly! This will save $15 off each box! If you aren’t familiar with Freshly, all their meals are pre-made and packaged before they are delivered to you. They use natural and organic ingredients, no added sugars or sweeteners, and all their meals are made in a gluten-free facility. (You can also get most meals with or without cheese), and they have vegan and vegetarian options as well. Check out our Freshly reviews to learn more about this subscription! For a limited time, use coupon code FRESHSTART to save $60 off your first two boxes from Terra’s Kitchen! If you aren’t familiar with this subscription, Terra’s Kitchen is a weekly meal delivery service where you select recipes each week, and then receive chopped ingredients that are ready to cook in 30 minutes or less. Recipes are priced individually (minimum order is $64.99), and you can choose add-on salads, proteins, and sides. Vegetarian, vegan, gluten-free, and paleo options available. 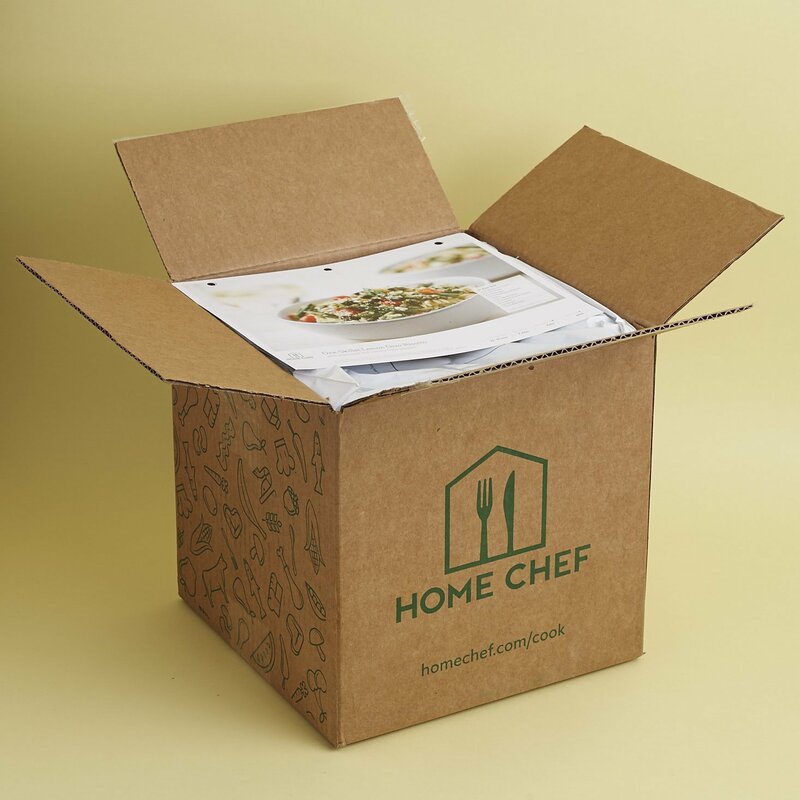 Check out our Terra’s Kitchen reviews to see what you can expect from this meal kit subscription box! Use code ADDICTION to get 3 free cups with a 9, 12, or 24-cup Daily Harvest plan! Daily Harvest is a subscription service known for ready-to-blend smoothies delivered right to your door – and now they have sundaes! You can choose from 6 different flavors: Cacao Cookie Dough, Chocolate Brownie Batter, Chocolate Hazelnut, Coffee Crunch, Salted Caramel, and Strawberry Cheesecake. The Coffee Crunch flavor was unavailable when I ordered but I was happy to try the rest of the flavors for you! The Cost: $47.94 for 6 sundaes a week ($7.99 per sundae), $89.88 for 12 smoothies a week ($7.49 per sundae), or $167.76 for 24 smoothies a month ($6.99 sundae). The Products: Vegan, superfood-filled, and ready-to-blend sundaes delivered frozen in perfectly portioned cups. Good to know: Daily Harvest offers frozen sundaes, smoothies, chia parfaits, overnight oats, and soups. You can customize your box to include a mix of all of these different foods. Now through 1/15, use coupon code NY2019 to save 20% off an order of 8 juices or a 2-day cleanse! Or, use coupon code NY5DAY to save 25% off a 5-day Reset Cleanse. Check out our review of Project Juice! New customers, save $50 off your first two boxes! No code needed, just use this link. Coupon: New customers, save $50 off your first two boxes! No code needed, just use this link ! Check out all of our Blue Apron Reviews to learn more about this subscription. New users, save $20 off your first order with code NEWCARROT! Check out all of our Purple Carrot reviews to learn more about this subscription. Sun Basket has a new deal available now! Save $35 off your first AND $10 off your second box with this link! I have tried quite a few of these. Home Chef just sent me an incentive $30 to come back, so I jumped to try it again in a couple of weeks. We’ll see. I don’t like cooking in general and have not had the best luck in cooking the proteins that come with these meals. I have been subbing to Freshly for a couple of months now. I’m single and my son moved to an apartment this year. I have enjoyed their food and I definitely love the no cooking side of it. I just heat it and roll. I don’t love that the menu changes very little. I’m a picky eater, so there are always about half the dishes I won’t eat, and yet they don’t add a lot of variety to the menu to keep it moving. They seem particularly stuck this month where the menu doesn’t seem to be changing at all. I hope they’ll jumpstart it and get some new flavors in there. I would love to see them do a few more traditional dishes or Mexican dishes minus the cilantro. There are so many great possibilities out there and I feel like they are dropping the ball a bit. I’ve been getting Freshly for 3 weeks now and I agree, the menu has been stagnant. I started looking at them in December and haven’t noticed any different recipes except for one added for mid-February. So far, I am liking it. Some of the portion sizes are a bit off (surprisingly with the sides being just a few bites), but overall it works for me. My husband is on a special diet so I’m usually only cooking for myself. Freshly allows me to eat “home cooked” meals for one. My favorite food subscription box is definitely Gobble, both for easiness and taste. My boyfriend and I love it. The only downside is that they don’t list full nutrition facts, only calorie total estimates. We also enjoy Sun Basket, which has more sustainable packaging and is healthier, a bit less tasty, and a bit more prep work (even though I only order their recipes that are supposed to be quickest). However, because they have more prep work/are slightly less prepared in advance, I’m learning a bit more about cooking when I prepare those meals than from Gobble. Hungry Root is a vegan one that has super easy recipes that still taste pretty good, so I get that one from time to time. They also have yummy prepared foods like soups and quinoa bowls that last a long time in the fridge and can be quick lunches or dinners. I tried Blue Apron and did NOT like how complicated the recipes were. After working all day I want something that is easy to prepare, and Gobble, Sun Basket, and Hungry Root definitely fit the bill for me in terms of ease. Thanks to your reviews, I signed up for Home Chef. First box will arrive Tuesday. The menu looks delicious. I’m most excited about getting just the right ingredients so that nothing goes to waste. Also fun to have someone else come up with dinner ideas. I tend to make the same old things. Your reviews convinced me to give it a try. The great deal was just a bonus. So far, I have tried blue apron, hello fresh and sunbasket. I am also going to get my first plated box next week. My main decision issues about continuing each service are price point and good selection of vegetarian meals. My husband and I have been having a good time comparing these services so far, and I think hello fresh is the most reliable, blue apron has the best customer service and sunbasket has the best vegetarian meal selection but trouble sourcing their organic veggies. I wish I lived in an area where I could just pick these meal kits up at the grocery store though.